2011 CLAAF Event: Are Uncertainties in the Developed World Seeding a New Crisis in Latin America? 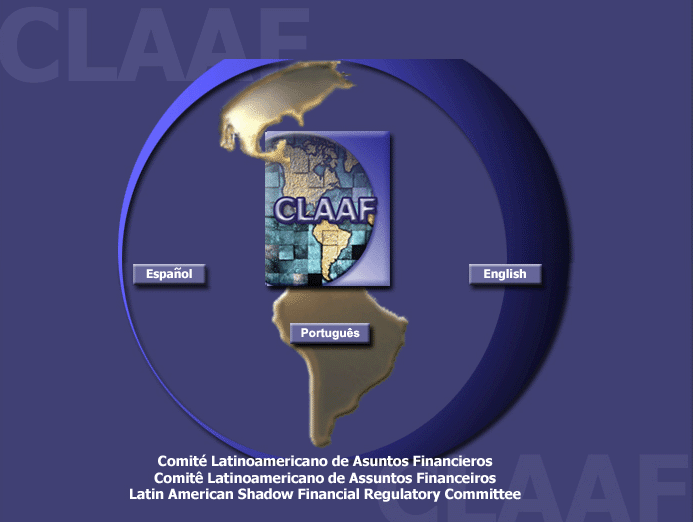 The Latin-American Shadow Financial Regulatory Committee (CLAAF) will be launching their 24th statement on June 7th, 2011 at an event hosted by the Center for Global Development. CLAAF is a group of prestigious Latin-American economists with strong expertise in financial markets and other macroeconomic issues. Liliana Rojas-Suarez, CGD senior fellow, presides the Committee. Among the Committee’s members are: Guillermo Calvo, Carmen Reinhart, Ricardo Hausman, Pablo Guidotti and Guillermo Ortiz (see complete list of members here). The goal of their policy statements is to raise the profile of issues affecting Latin America’s financial markets and influence the actions taken by the policymakers in the region. For this reason, their statements target Central Banks, regulatory agencies, the private sector, multilateral organizations and the press. CLAAF previous statements have drawn great interest by the press and policymakers in Latin America. On June 7th, the Committee will focus on the potential damage to growth and stability in emerging market economies arising from the severe problems facing developed countries, which include the intensification of the European debt crisis and the increased concern on the United States’ sovereign debt problem. a) Could current difficulties in the developed countries lead to a fresh global crisis of “Lehman’s dimensions”? b) Could the resilience shown by many emerging markets, especially Latin America, during the 2008-09 global crisis be repeated if a new severe global disruption were to emerge? c) Have early signals of economic and financial instability already appeared in Latin America? d) What policy options should Latin America take to avoid a “band aid approach” where many small remedies fail to achieve the desired cure? Additional media information and information on the Spanish media conference call is available here.